Swansea Bay Beach at Swansea01792 635430work BeachSwansea Bay is Wales's Waterfront City beach, as well as being the name given to the wider destination too - Swansea, Mumbles and Gower. Central and easy to get to, Swansea Bay is just minutes away from the heart of Swansea city centre; it is also a Watersports Centre of Excellence. Toilets, refreshments, parking. Lifeguard service provided 10:00 - 18:00 1 July to 3 September. Dogs not allowed May to end September on two sections of the beach. 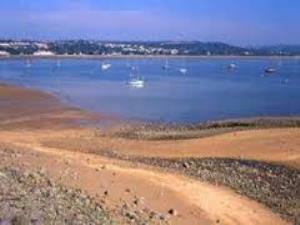 Swansea Bay is Wales's Waterfront City beach, as well as being the name given to the wider destination too - Swansea, Mumbles and Gower. Central and easy to get to, Swansea Bay is just minutes away from the heart of Swansea city centre; it is also a Watersports Centre of Excellence. By Car: Leave M4 at Junction 45. Keep in left hand lane and take A4067 towards the City Centre. By Bus: Swansea Bus Station includes an arrival/departure lounge for coach passengers and a nearby taxi rank and access to the Quadrant Shopping Centre.